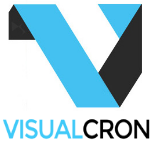 No programming skills - You do not have to have a programming background to learn and create Tasks with VisualCron. Tasks for everything - With 100+ custom Tasks for different technologies we are sure we can solve and automate your problems. Customer driven development - We base our development on feature requests from our customers. Extended logging - With audit, Task and Job logs, as well as output for each Task you will have enough information for debugging. Flow and error handling - React and control flow based on error type and output. Interact with anything - execution across different platforms. Eliminate human errors - By automating advanced Tasks and handle errors automatically you eliminate human errors and downtime.